My name is Meg Marrelli. I began my Reiki studies in 2007, which is when I became a Certified Usui Reiki Master. I then went on to learn several more forms of Reiki, such as Kundalini and Karuna Reiki. In 2013, I learned Practical Reiki, which is a combination of Usui Reiki and Kundalini Reiki. I studied under Alice Langholt at Reiki Awakening Academy and received my Practical Reiki Master Certificate, as well as a certificate to teach Practical Reiki. Reiki has changed my life in so many ways. It has helped me through many difficult times, including the loss of love ones, relationships and life changing events. Reiki has also improved my day-to-day quality of life, by bringing peace and tranquility to a day that might otherwise have been filled with stress, conflict and friction. I practice Reiki everyday, whether I'm giving a Reiki treatment to someone or practicing self healing on myself. 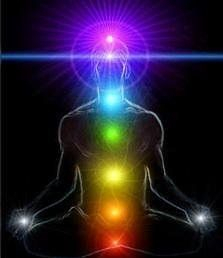 I strongly believe that Reiki is a powerful healing practice for the mind, body and spirit. I can attest to the uplifting results that Reiki brings, as it has enriched my life in countless ways. If I am able to pass the healing energy of Reiki on to others by way of treatments or classes, then I will have fulfilled a life long dream. Contact me at Spirit of Reiki and let me show you how Reiki can change your life! At Spirit of Reiki, my mission is to provide you with exceptional Reiki services at the highest level of customer satisfaction. I offer relaxing Reiki treatments and quality Reiki training. Whatever you choose, I'm sure you'll be happy with my services. Look around my website and if you have any comments or questions, please feel free to contact me. Check back regularly for class schedules and updates. There's more to come!